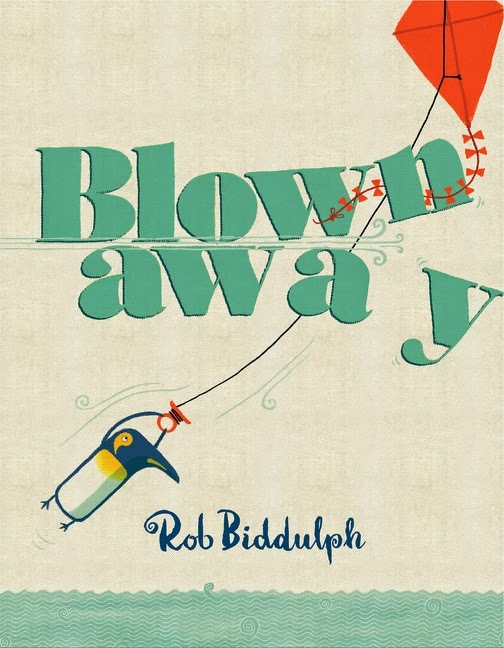 I fell in love with Blown Away, the debut picture book by Rob Biddulph after only a few page turns. First of all, Biddulph, the award-winning art director for the Observer magazine, has written a rhyming picture book that I actually like! His text is haiku like at times, short bursts of well chosen words. It never feels forced, as so many rhyming stories do, and its simplicity suits the somewhat stoic faces of Biddulph's utterly charming characters. 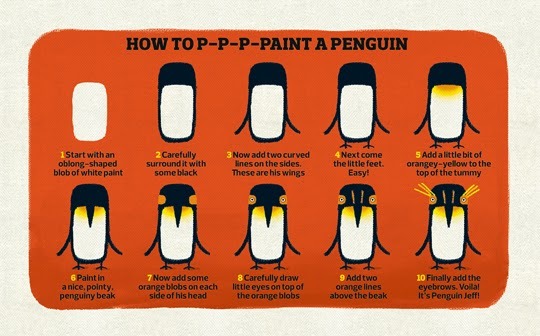 The comparisons with Oliver Jeffers's illustration style are unavoidable, especially with the presence of solemn penguins. However, Biddulph makes the style his own, incorporating a bit of collage along with the texture of a canvas into his marvelously detailed illustrations. Sadly, I could find only two interior images, along with a few adapted illustrations, to share with you here. 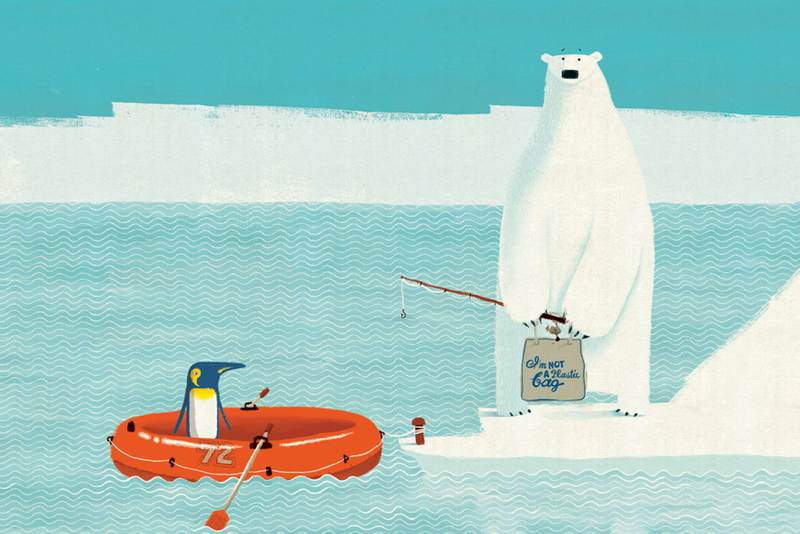 Blown Away begins in the Antarctic with Penguin Blue and his new kite. It's a very windy day and soon Penguin Blue is being pulled high into the air with all his friends trying to rescue him. 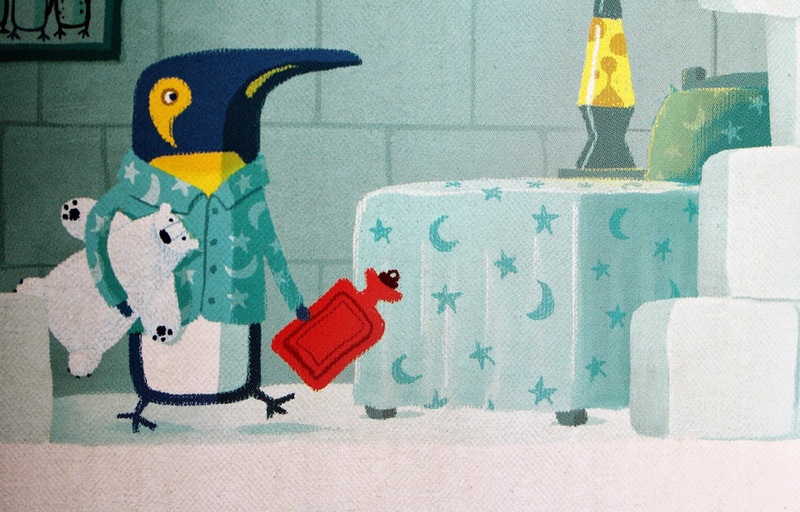 Penguin friends Jeff and Flo find themselves hanging on for the ride, while Wilbur the seal and his clothesline get swept away as well. 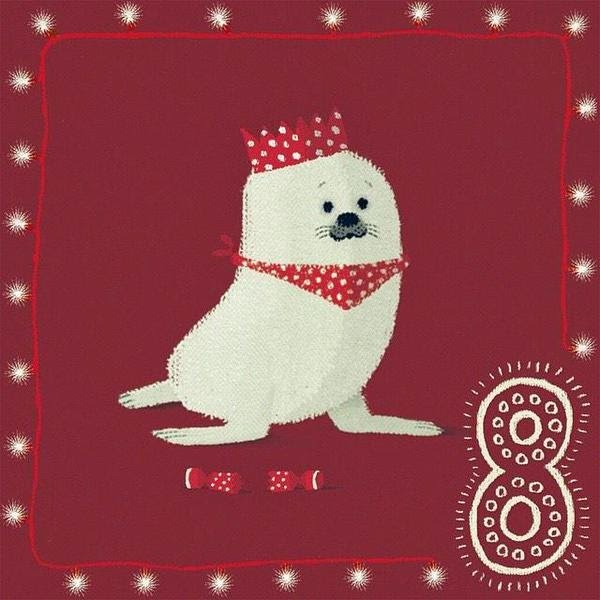 Finally, Clive, the polar bear who is out fishing on his inflatable raft, is caught up in the adventure when his fishing pole catches on Wilbur's clothesline. The crew is carried far out to sea. A lovely bit of Biddulph's rhymes read, "They swoop, they soar . . . in rain and shine . . . They zoom straight through . . . clouds one to nine." 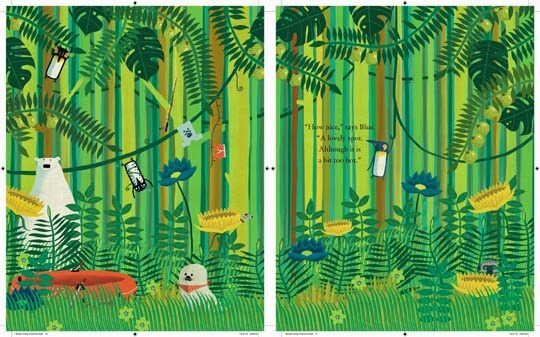 Seeing a tiny island below that is "lush and green (a color they've never seen)," the animals let go. Once on the island, they find the inhabitants friendly, but the climate, despite the ice cream truck, is too hot. 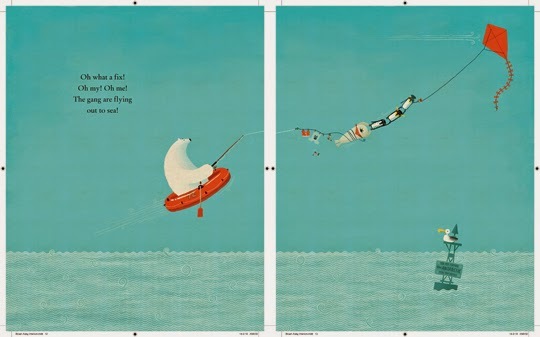 With some clever crafting and the help of an elephant with big lungs, the friends are headed back to the Antarctic, with a stowaway on board who makes for one of those wordless, final page turn surprises that I LOVE in a good picture book. As many reviews have noted before me, Blown Away is a gem of a picture book, perfectly crafted and a joy to read.